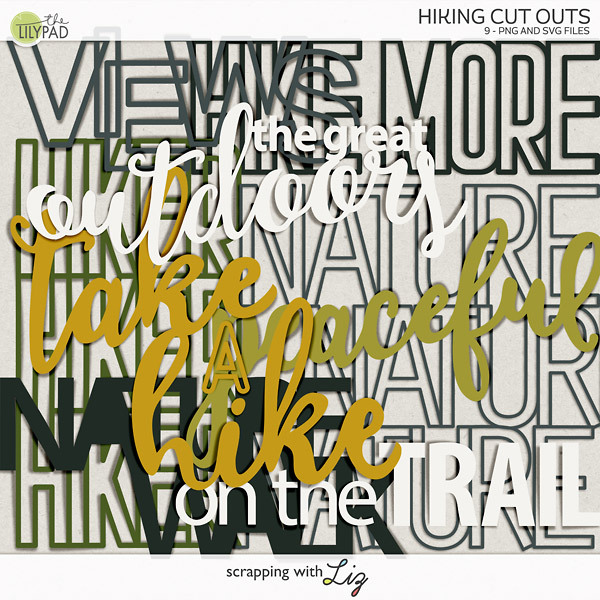 Scrapping with Liz: Week 42: Horse Class, Sleepovers, QR Codes, Photo Grid and More! 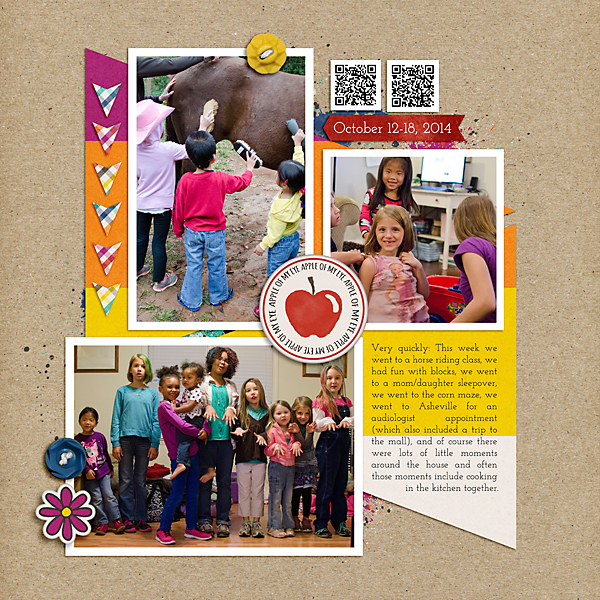 Week 42: Horse Class, Sleepovers, QR Codes, Photo Grid and More! 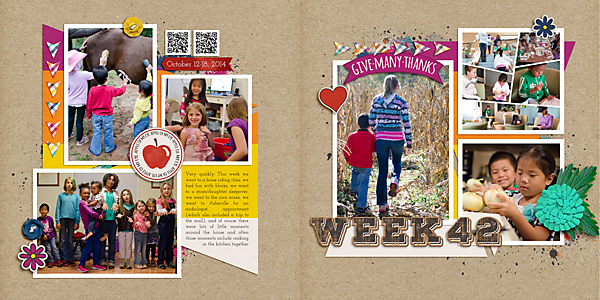 A couple things about this week's page: I used 2 QR codes (seriously, I love these!). I also use an app called Photo Grid to put together collages with my phone pics (mainly to post on facebook and instagram). I made a collage this week and incorporated the collage into my page. I liked that it captured our whole day into one nice little collage, and then I was able to also include it on my Daily Life page (just plopped the pre-made collage right down on my page). I think I might do this more often. 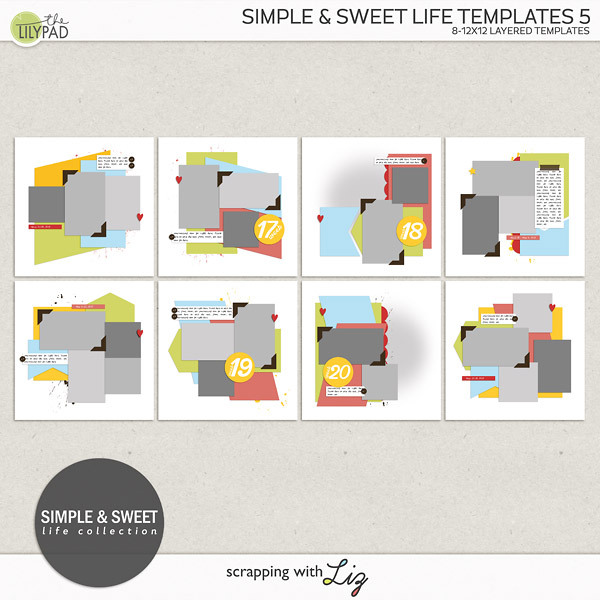 So, take a closer look below if you want to and make sure you grab the free journal card template. Journaling: Very quickly: This week we went to a horse riding class, we had fun with blocks, we went to a mom/daughter sleepover, we went to the corn maze, we went to Asheville for an audiologist appointment (which also included a trip to the mall), and of course there were lots of little moments around the house and often those moments include cooking in the kitchen together. P.S. I had someone ask me if they thought QR codes and YouTube would stand the test of time. Not sure about that, but I don't see them going away in the foreseeable future. I imagine technology will change, but I have a feeling QR codes and YouTube will be around for awhile. I figure if they do go obsolete the QR codes don't take up that much space on my page and whoever happens to be looking at my pages will giggle at the outdated technology. P.P.S. I did test out my QR code to make sure it wasn't too small. While it works fine at a normal size, I think through some of my resizing for the web it made the QR code not work on my blog....sorry about that! I'll try to keep them a bit bigger next time just in case you all want to see videos. Love all of your journaling cards! Thank you for sharing so many with all of us.